I have a confession to make. It’s a true confession — and a sad one. I am terrible at encouraging Personal Progress. Yeah, I have my medallion thanks to the zealous efforts of my young women leaders back home in Mississippi, but I’m truly awful at encouraging PP among the young women I lead now. I have lots of reasons — I’m terrible at anything that requires stead state or rote reminders, I am not motivated by reward systems, I am over Laurels and they are (often) over personal progress, it’s been a lot of work to get class presidencies, BYC, our presidency meetings, camp, lessons, together with all the other stuff I have to do related to just life…. All good reasons. But none of them good enough! I have been YW president for an entire school year now, and despite encouraging PP as much as possible, we weren’t seeing much movement … until Summer. Keep in mind that girls are busy, and you may have to wait until school is on break to see the resutlts of your encouragement. Summer is a small window of opportunity, with camp, EFY, youth conference, vacations, etc. Your consistent efforts to encourage PP during the school year will pay off in Summer. It’s one of my pet peeves that PP wasn’t built right in to Come Follow Me. Actually, the near-total lack of coordination between programs and goals is my biggest pet peeve about the church. Fix that, Salt Lake. 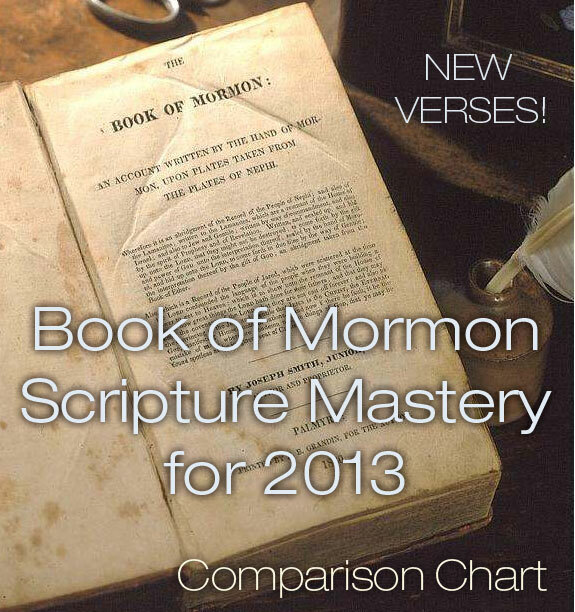 Because CFM seems to have attached PP to itself as an afterthought, you’ll have to do a little bit of legwork to substitute scriptures or add writing activities to your lesson in order to include personal progress in some lessons. Don’t worry — it can definitely be done. If I’m teaching and can add in a PP value experience, I don’t tell girls that they’re earning PP as we study. I wait until the end of the lesson to tell them they’ve completed a value experience, and they almost always cheer with joy! Because preparing and teaching a lesson takes a significant amount of time and effort, we have our girls count lesson teaching as one of the value experiences that you make yourself. 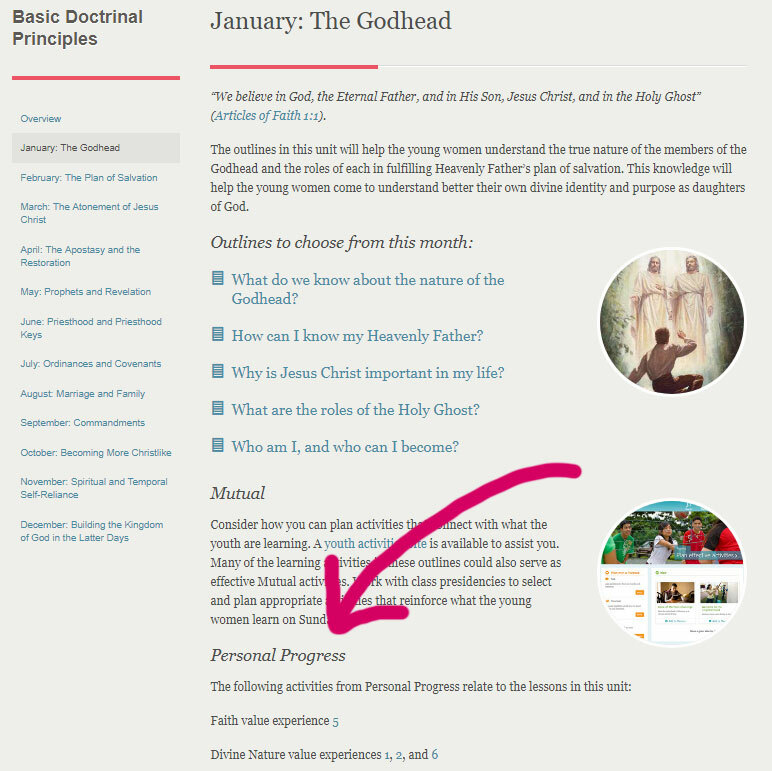 They choose the value, and we put it in the computer at http://personalprogress.lds.org/ for tracking. We talk about selecting a value experience during class and follow up with the girls to help keep PP on their minds. We are often counseled to avoid competitions, so one of my counselors came up with a great idea to encourage PP. We made a puzzle out of an image of our local temple (Washington DC), and each week during opening exercises, anyone who has done work on PP during the week explains what they did and can add a puzzle to the image. When the puzzle is complete, we will provide some sort of party or surprise for the entire group and begin again. Our first puzzle has about 25 pieces in it so that we can get momentum going fast. The next one may have a few more or less depending on how long it takes to complete this first one. We have 23 active girls and started the puzzle in April. I think we will be done before the end of the summer. Incentive programs like this don’t motivate all girls, but some girls really love it. One of the more difficult part of PP is planning and completing the 10-hour projects. In our unit, we select girls who need help with PP and ask them to be on committees to help with Young Women in Excellence and New Beginnings. Those activities take at least 10 hours of planning from start to finish. Because PP has been pretty much dead in our unit for some time, we try to make a big deal when someone earns a ribbon. We don’t give her anything except the ribbon and emblem (don’t want to diminish the award), but we do stand and talk about the great accomplishment and let the girl share what she’s learning inasfar as she’s comfortable doing so. Our Mia Maid class got so excited two weeks ago after some girls earned ribbons, that they planned their own activity to jump start PP the following day. The girls got together at the counselor’s home and worked for about 4 hours together and were able to get several of The Short Ones completed and passed off in their books. When the girls get excited, go with that. Drop what you’re doing, and go with their ideas. PP is personal, and if personal means personally planning a group activity — do it. I drove some girls to Trek last week. One of the Laurels said something that wasn’t nice, and the Mia Maid girls who had been at the PP activity earlier in the week said, “Hey, no judging!” which made the other Mia Maids laugh. The Laurel asked what was going on, and the Mia Maids got to talk about how they’ve been working on PP together and they were working on not judging. The Laurel then started talking about how she needed to work on her PP…. Peer-to-peer encouragement is the Celestial Kingdom of PP for me. What’s more, our first YW received her medallion on Sunday. She was a recently graduated senior who squeaked in during the last several weeks before she moved away from home. She told me that even though her PP had been rushed toward the end, she felt like she was leaving home “super-charged” and ready to use the skills and traits of womanhood she had developed by doing PP as she strikes out on her own. And that, my friends, is what PP is about: studying about and practicing traits that will make us better women, better servants of the Lord. It’s a boatload of work! But seeing a girl catch the vision of it makes it all worth.